Thanks to Duncan Grassie for planning and organising the 2018 GLOSS Series orienteering event on Wimbledon Common. The GLOSS concludes next Sunday at Beddington Park. London Orienteering has produced the series results ahead of the final race. Thanks to everyone for participating in Sunday’s GLOSS race at Wimbledon Common in the sun. I hope everyone enjoyed the courses on offer. It was nice to see everyone coming back happy despite the long waits at registration – apologies for those while I grappled with the software. Thanks for your patience and to those who stepped in to help. Wimbledon Rangers Office – for allowing us to use this wonderful area and the reminder about nesting birds which I was glad to see was noted by many participants. 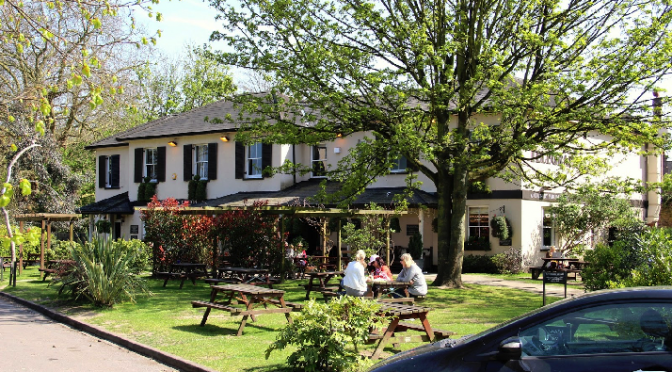 The Telegraph Inn, Putney – for letting us use space outside for registration – a great base in the centre of the area which is hard to find elsewhere. Matthias, Dmitry, Sue, Nikolay and Ed for helping out on the course with starts and controls. Heather, Gordon, Mike, Gavin and Richard for jumping in to help at registration. Catherine and Paul of LOK for organising the series and Angus and Gordon for helping with the website stuff. I’m sure there are others who I’ve missed out but look forward to seeing you all soon at the next GLOSS event this Sunday at Beddington Park.